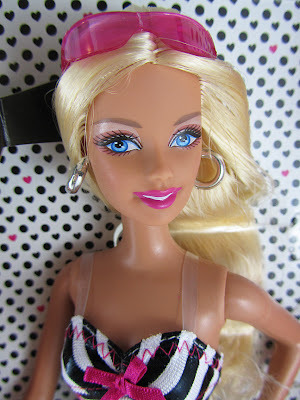 Doll Tale Thursday #4: Barbie Said Yes! 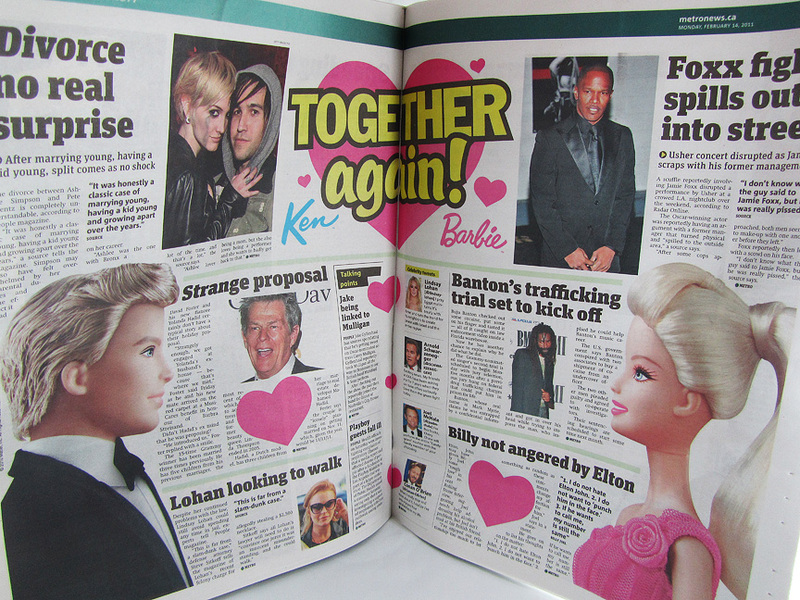 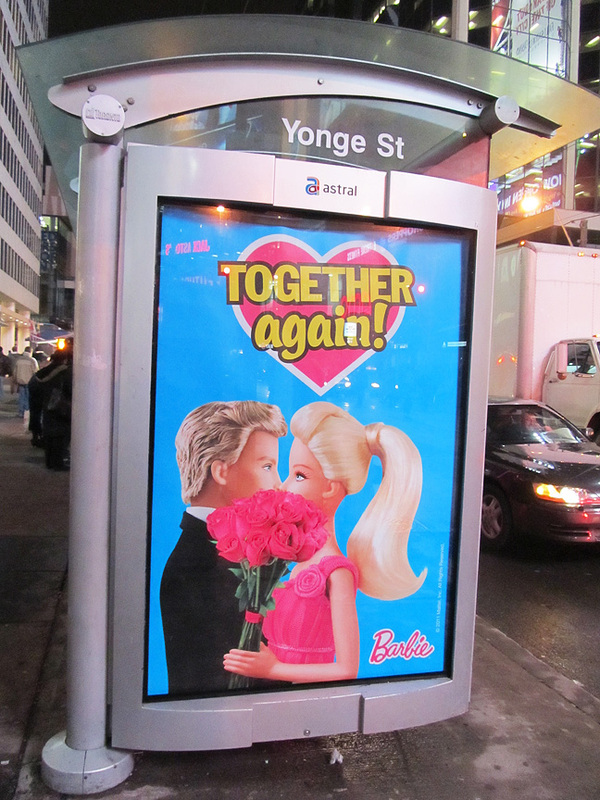 Not that we didn't see it coming but just in case you've been living under a rock and didn't see Ken's extremely public love notes to Barbie across North America in January, see one of the bus stop ads HERE. 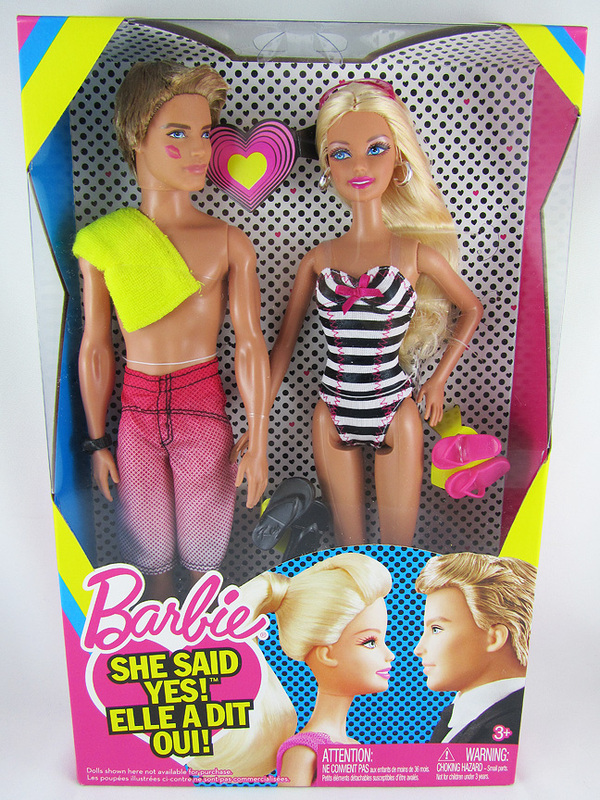 To conclude, I love the doll set for its fun factor. 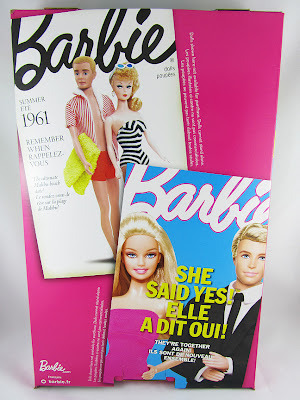 I don't care much for the quality of these sasquatch-footed dolls as I intend to keep them in the box. 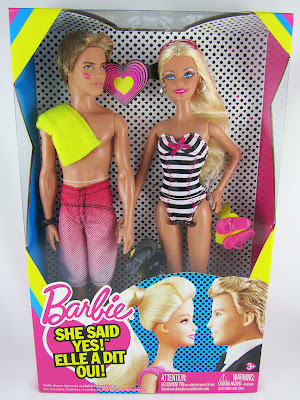 I'm normally a deboxer but in this case, I only wish to have a keepsake of such a climatic episode in the Barbie saga. I can only imagine how much Mattel must have spent on the advertising that went into Ken's pursuit of recapturing Barbie's heart....Now if only they went into that extreme in making quality dolls.